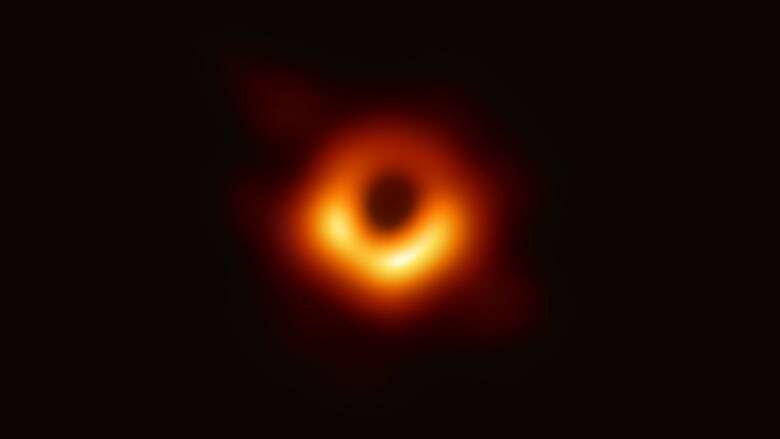 On Wednesday, scientists with the global Event Horizon Telescope (EHT) project unveiled the world's first-ever photograph of a real black hole, and the image might look familiar to fans of Christopher Nolan's 2014 sci-fi epic Interstellar. Unlike films that rely on a team of visual effects artists, however, EHT researchers used radio wave data collected by eight telescopes around the world, to capture an image of the supermassive black hole at the centre of the Messier 87 galaxy, within the constellation Virgo. The image of the newly named Powehi black hole resembles precisely what scientists predicted a black hole would look like, even if the photo isn't as impressive as some of the black holes put to film and television. Paul Franklin is a visual effects supervisor based in London and was the visual effects supervisor for Nolan's Interstellar. 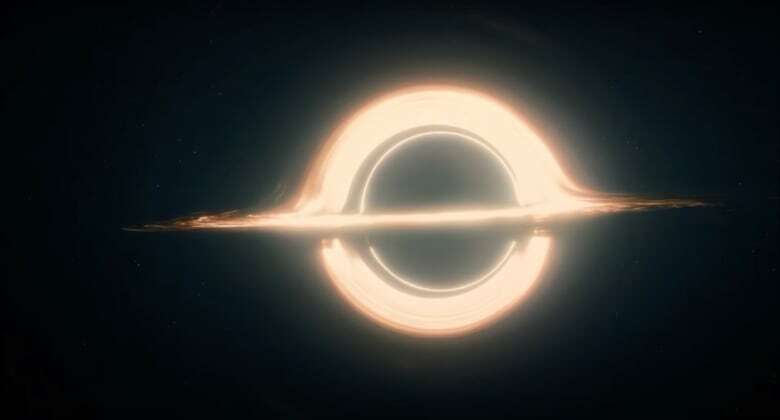 Along with Kip Thorne and the effects team at DNEG visual effects studio in London, he was responsible for realizing the Gargantua black hole at the heart of Nolan's film. Franklin spoke with Day 6 about what it was like constructing the Gargantua black hole, as well as what he felt when he first saw the photo of the Powehi black hole. Below is part of a transcript of that conversation. "Our goal when we set out to create the visual effects for Christopher Nolan's film Interstellar was that we wanted to put science at the heart of the story of the film. "We had this amazing collaborator, professor Kip Thorne of Caltech in Pasadena, [Calif.,] who's one of the world's leading theoretical physicists and an expert in black holes, space-time, wormholes, and all sorts of extraordinary things that come out of the physics of Albert Einstein. "Kip wanted us to be as accurate as possible in our representation of the interstellar phenomena which are at the heart of the story in the film, and we wanted to make it look as accurate as possible and reflect the way that the real physics drives the image that we see on the screen. "So, in addition to Kip Thorne, we had a number of other collaborators — notably the research and development team at DNEG visual effects in London — led by chief scientist Oliver James, and Oliver collaborated with Kip to create a new piece of software which actually took Einstein's physics and turned them into images that we could put onto the screen. "For the final image of Gargantua that you see in the film, we took a couple of liberties. We altered the colour of the thing a little bit. We wanted to give it this fiery, hellish look to it, because it's supposed to be a big menacing thing in the film, it's a dangerous thing. "We were able to art direct the colours and the spectrum; the visual spectrum of the thing. Which, that is perhaps not what you would actually get from the real thing. "The reality of a supermassive black hole like Gargantua is that they generate colossal amounts of energy, as the matter swirls around the black hole and falls into it. We toned that down a bit, in order to be able to see it. Because otherwise it would just be so bright that it would overwhelm the picture." "My first reaction when I saw the M87 black hole picture was — I was just amazed ... I'd heard about the effort to image a black hole, but it seemed like such an extraordinary challenge to be able to take all this data from all these different sources, and to be able to bring it together, and I'd read a little bit about it whilst we were working on Interstellar back in 2013. "It's one of those things you think, 'Well that'd be nice if they're able to do that.' And I wasn't really expecting them to actually pull it off. "So, I was blown away by it, quite literally, and I was quite pleased to see that ... it bares a passing resemblance to Gargantua that we created for our film, so that's pretty satisfying."